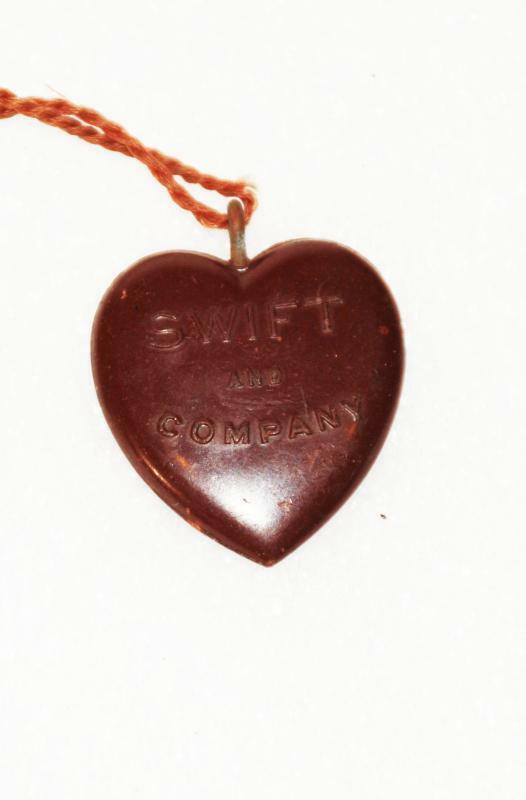 Bakelite heart-shaped advertising charm / FOB, Swift and Company (Stockyards) early 1900's . It is a super dark red. Front: Image of a COW. Back: Front: Image of a COW. Back: SWIFT AND COMPANY. Size: 1-1/8" x 1-1/2". 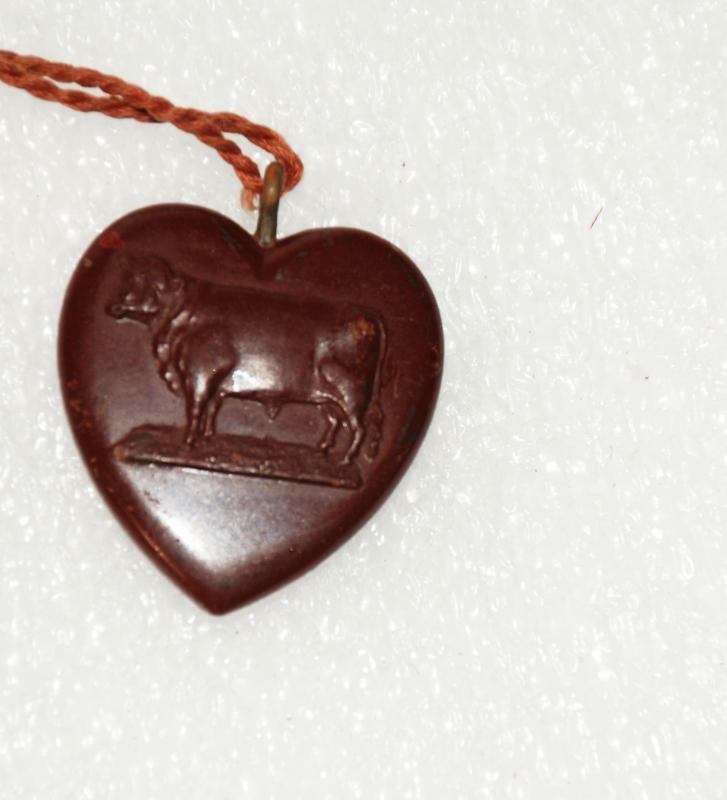 Bakelite heart-shaped advertising charm / FOB, with original cord. Very nice condition and comes on the original cord. Size: 1-1/8" x 1-1/2". Very nice condition and comes on the original cord.